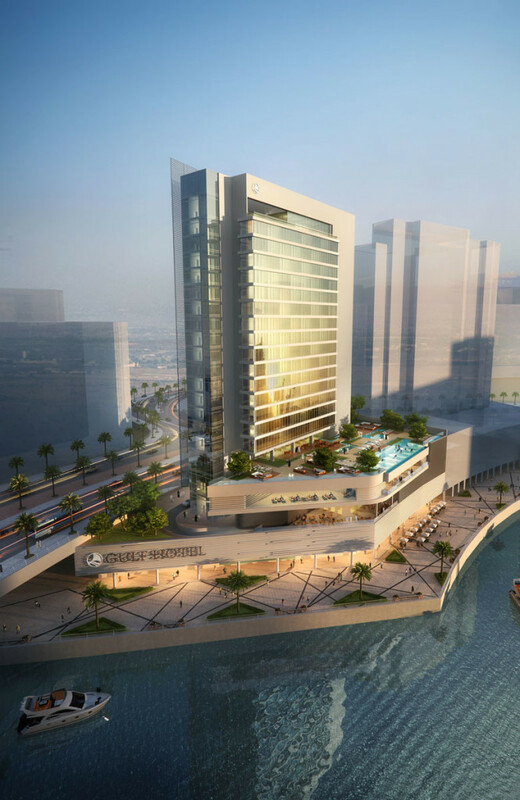 The 240-room Gulf Hotel Business Bay is situated on a waterfront site overlooking the Creek facing the Burj Khalifa. 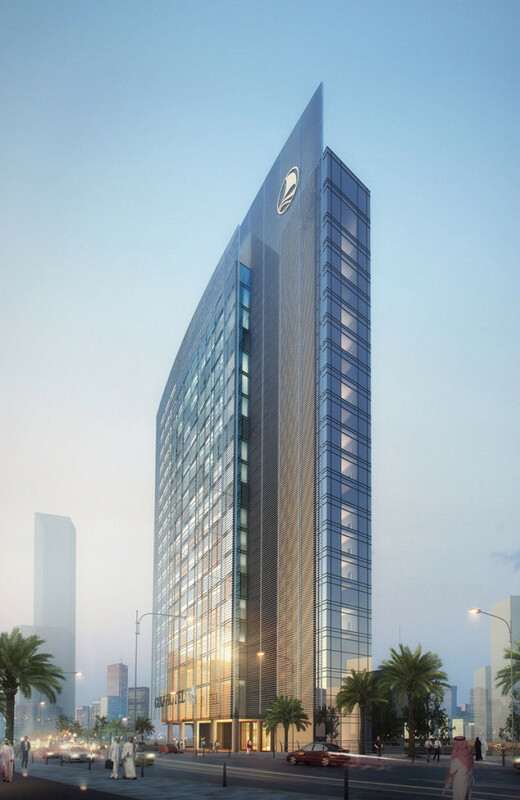 It sits on a podium building which is occupied by the public areas, hotel amenities and support facilities. Guest room views are maximised through the clever introduction of full height glazing systems to take full advantage of the stunning views. 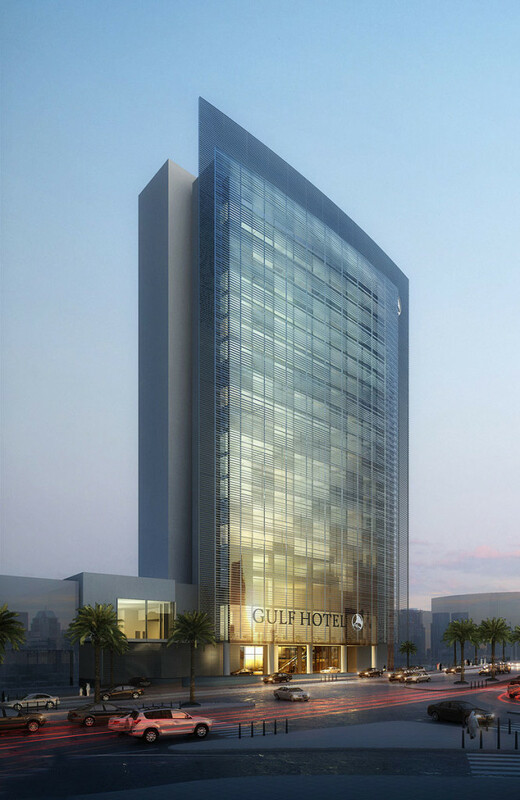 The design was inspired by the practicality of the project brief so the generated form was based on a simplified building massing with projected panoramic lifts facing the Business Bay and Burj Khalifa as well as a curved façade screen which provides shade to the sun-facing facade. The hotel needed its own identity to the context and GAJ developed a number of different massing options which explored this approach while also looking into the practicalities of meeting the required brief and required operational efficiencies. The end result is a flexible building design that allows for change of use and/or change of layout of the structure. In particular, entertainment spaces will be maintained as open plan as possible, within reason, to consider design economy minimising the requirement for future structural alterations.